With over 30 years of dental experience, Dr. Smochko has exceptional skills to provide you with the dental care that you deserve! She is kind, gentle and works efficiently so your appointment runs smoothly every time. Her patients say she is the best at giving freezing and are comfortable to come back to see her. 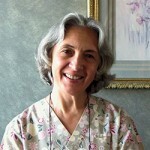 In 1984, Dr. Smochko became a dentist as she graduated from the program back in her homeland in Europe. She has been practising dentistry for over 30 years. In 2004, she opened up her dental practice in a great location in Port Perry.